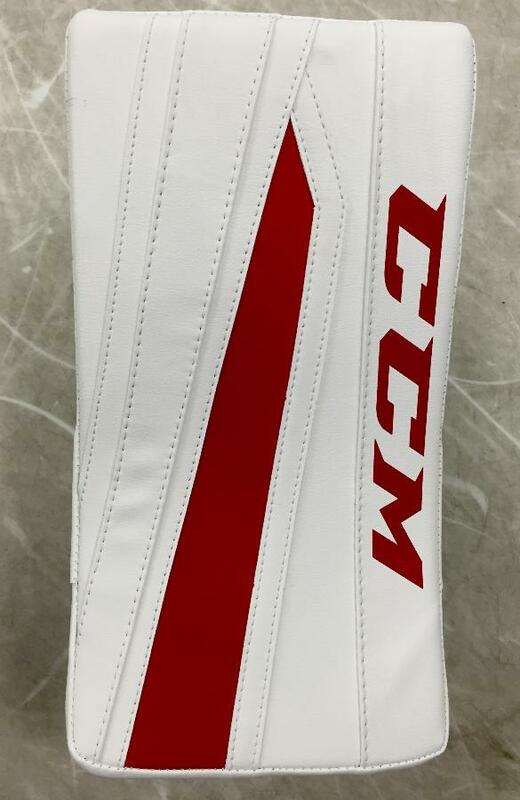 CCM E Flex II 860 Int. Blocker “Exclusive Graphic” | Sports Etc. The use of a bindingless construction with an exclusive graphic makes the blocker a more durable product throughout the season. 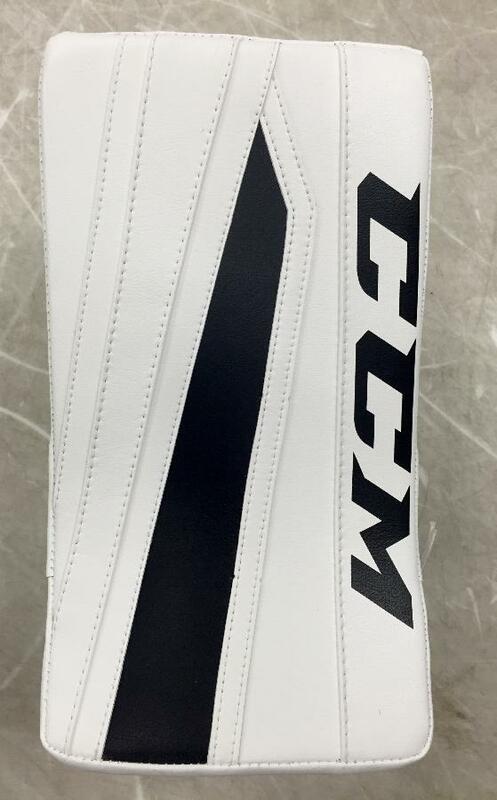 The adjustable cuff allows the area to open up for wrist mobility when playing the puck. A centered palm positions provides balance and excellent coverage above and below the hand. 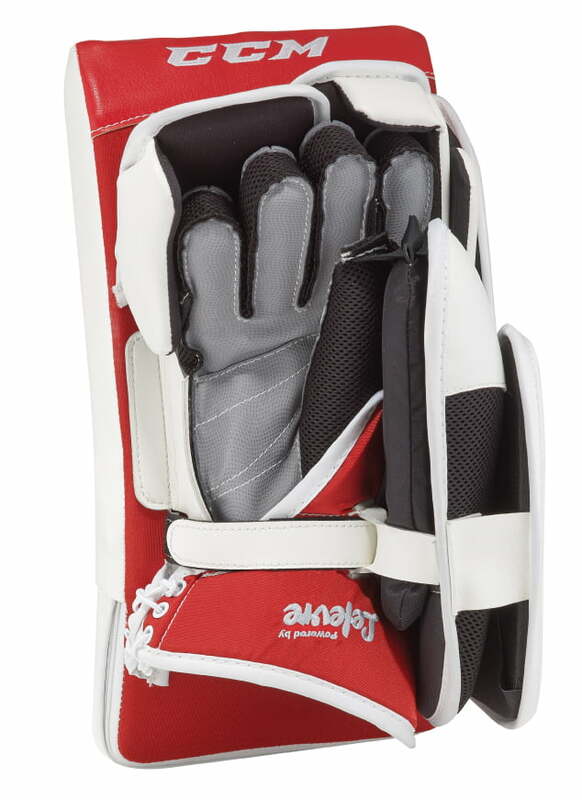 The high density foam inside the blocker maximizes coverage and increases durability. Sports Etc Performance To Value Rating– 8 out of 10- Highly durable blocker with an adjustable cuff for increased mobility. 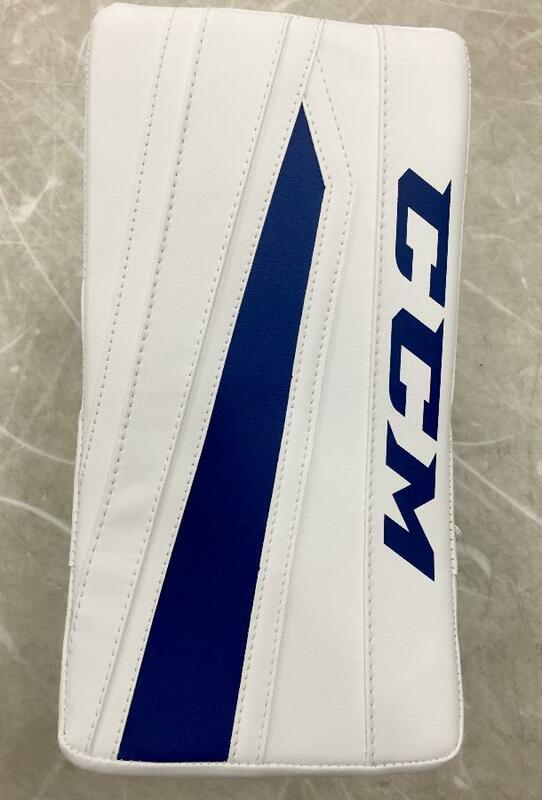 Great for all intermediate-sized goaltenders.